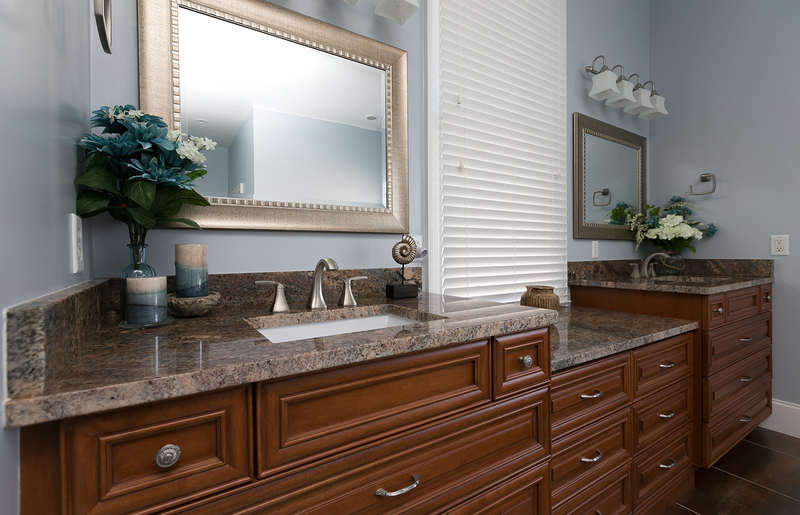 Universal produces the highest quality countertops using our beautiful granite, marble and quartz. You can hand select your material to coordinate with your other finished products. Beautiful designs can be yours using our imported marble, granite, quartz or engineered stone. Universal carries designer stainless steel sinks in single, double, D shaped and Bar. 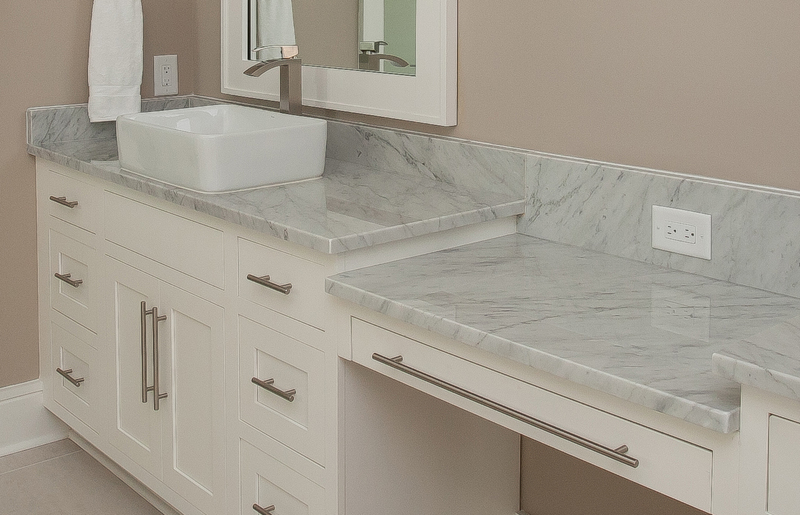 Our porcelain undermount sinks come in round and square. 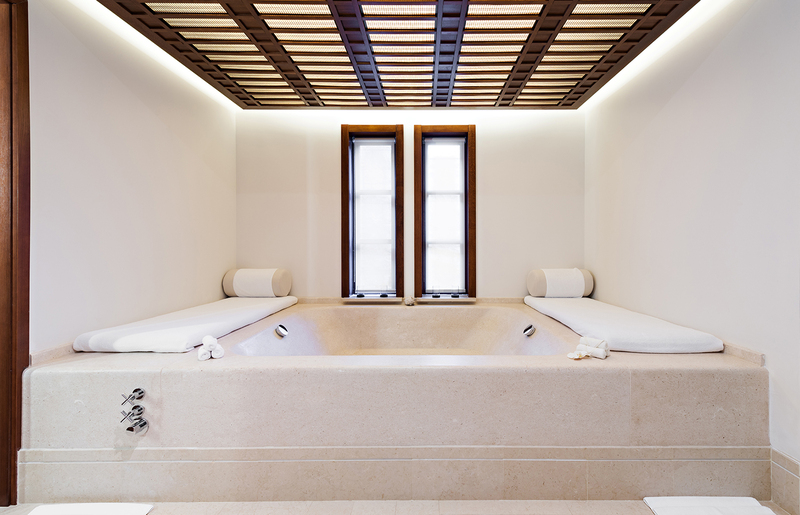 Feel the quiet solitude as you melt into your private Jacuzzi, surrounded by the gleaming beauty of your chosen marble or granite from our Universal showroom. Enjoy the warmth when you update your fireplace with your choice of material and color. 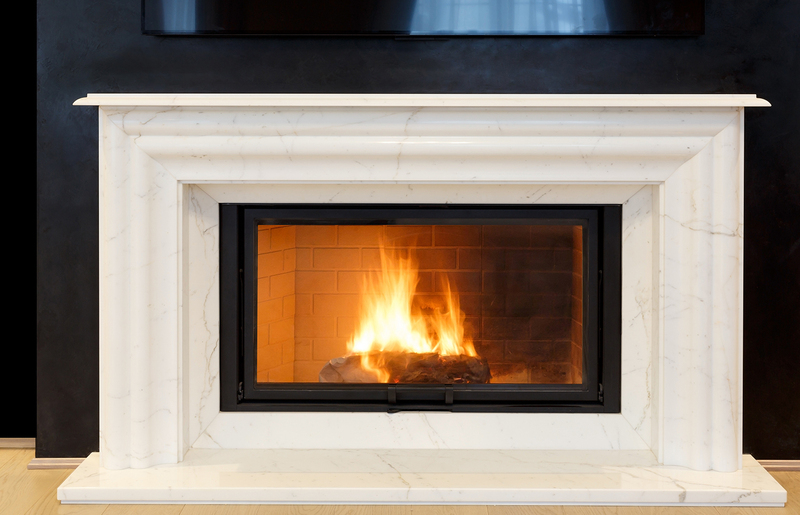 Incorporate stone, granite or marble into your new fireplace design. See our Universal Gallery for pictures of some of our projects. Enhance your kitchen countertops by adding a complementary marble, granite or quartz backsplash. Visit the Universal showroom to see our selection. 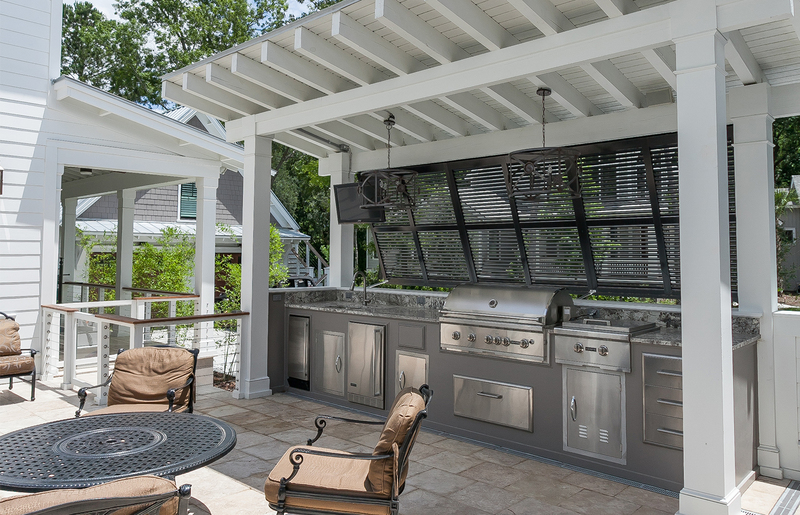 What is more inviting than to entertain family and friends using your beautiful outdoor kitchen. Universal 's choice of materials for your consideration will expand the beauty and value of your home. See What's New in 2018! Jun 28, 2018. Learn from Greg what Universal Marble & Granite has to offer and see the full tour of the business. Feb 6, 2018. 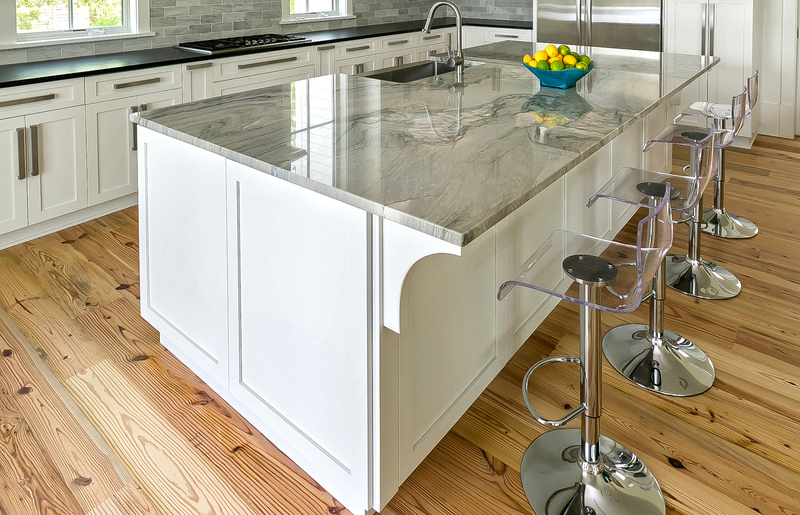 Charleston Home + Design Show interviews Greg on the marble and granite selections available. UNIVERSAL chooses to be first in quality, above all else! Professional experience & excellence, with personal attention. Universal Marble, Granite & Quartz can enhance your home with our custom products and expert professional installers. Let us work with you to make it your own, utilizing our quarry direct, imported Marble, Granite, Quartz and many other Elegant stone products. Personal Service will be reflected in every aspect of your experience. We can do any interior or exterior application. Custom kitchens, countertops, products for shower & bathroom surrounds, fireplaces and much more. Visit our showroom, call or email, then schedule a free in home consultation. We fabricate and install all of our projects. Backed by over 30 years of experience, this family owned and operated company is conveniently located off Ashley Phosphate in North Charleston, Serving the Charleston Lowcountry. "The counters are beautiful, the install was quick and efficient, the workers were friendly and informative, and the process was quick and simple. If you are looking to order counters and not deal with any hassle or issues, call Greg." "Awesome company! They were very responsive and got the work done very quickly! We love the look of our new countertop!" "I could not have been more pleased with Universal. They were a pleasure to work with and I will wholeheartedly recommend them to friends and clients." "Extremely impressed from start to finish. We were pleased with the entire process, selection of granite, knowledge of products, quick turnaround time for installation and lastly, great follow up!" "Perfect! Couldn’t be happier with our countertops and the price which was the most competitive we found. Make Universal your FIRST stop." 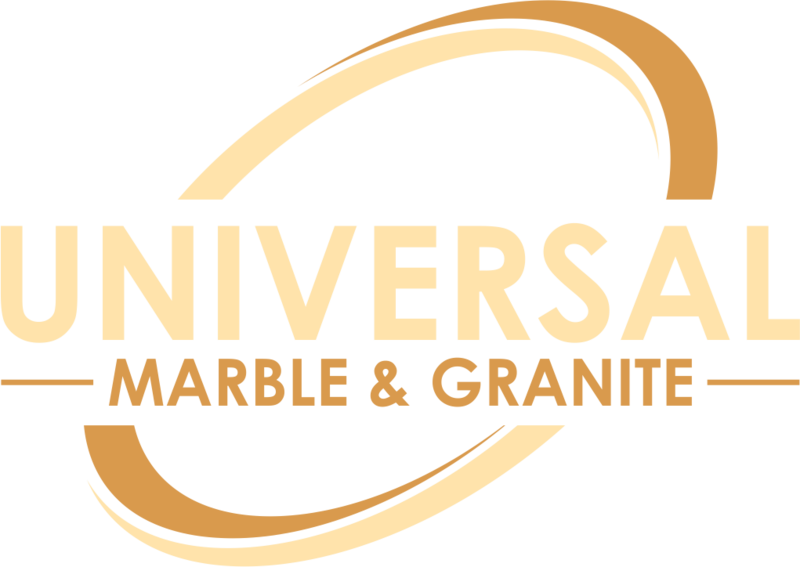 "I was very happy with the service from Universal Marble. I love my new countertops and the Stonecrafters Team was great to work with. A job well done! I will recommend you to my friends and neighbors." "Very professional and courteous. I love my countertops. Great job." "Could not be happier with these folks. Super friendly and professional, the sales people, template guys and the installation crew were all wonderful. The selection was great, the timeframe was fast, my kitchen was actually done four days ahead of schedule. I love the finished result!" "This place is awesome! Stopped in for pricing and they made the process so easy that we decided to purchase for the whole house. Greg was great to work with too!" "We did a large kitchen, master bathroom suite and outdoor kitchen that necessitated a number of seams. Their attention to quality and detail was amazing. Their seams virtually disappear! The finished product far exceeded my expectations and Universal truly deserves my highest 5 star rating."